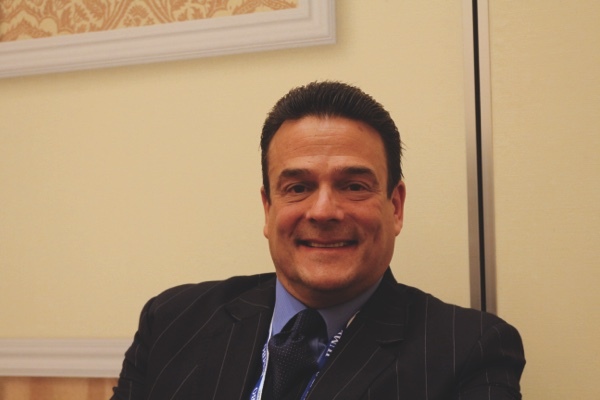 FootballBet.com chairman and CEO David Leppo noted that sports lounges would be beneficial to the gaming industry, as it maintains social interest within casinos. Currently there are no sports betting lounges in local casinos. With gaming operators trying to attract families and offering new shows, Leppo said that the city’s gaming industry should change its offerings and suggested that sports betting lounges are a necessary part of a well-rounded casino product. “It’s not just the gambling that goes on inside the sports [lounge], it’s the actual watching of the event, it keeps the interest of the client and of the visitor for an average of two and a half to three hours per event,” Leppo said on the sidelines of G2E Asia Conference, which concluded yesterday. The expert said that sports betting will not only lure certain clients but it will keep them in casinos longer by offering different types of activities that would capture their interest. Leppo revealed that further innovations in sports betting could be made to make it “convenient and easy” for its customers, especially for VIP high rollers. “If you have a posh room with 15 to 20 televisions streaming live sporting events [from] all over the world, you already have a captive audience,” he said. Borislav Borisov, chief operating officer of UltraPlay told the Times that eSports – driven by broadcasting engines, live events and streaming – have attracted massive audiences, especially in China which accounts for 530 million eSports players. “The soil is ripe for searching for revenue opportunities,” Borisov said. “There you go – virtual reality casino. Absolutely new experience,” which both revitalizes existing customers and attracts new types of people, he added. According to Borisov, eSports will be the “next big thing” as competitive gaming is now the world’s fastest growing sport. According to predictions by games industry analysts SuperData, eSports’ revenues are likely to reach nearly USD1.9 billion by 2018.